American clay workshops for home owners and the trades. Last year we started to spread the word about 'American clay's' through education and our own projects. The response has been great and with four workshops under our belts we are looking forward to many more. We are now teaching home owners as well as professionals, as we understand that sometimes, well.....the homeowners just want to try it themselves! 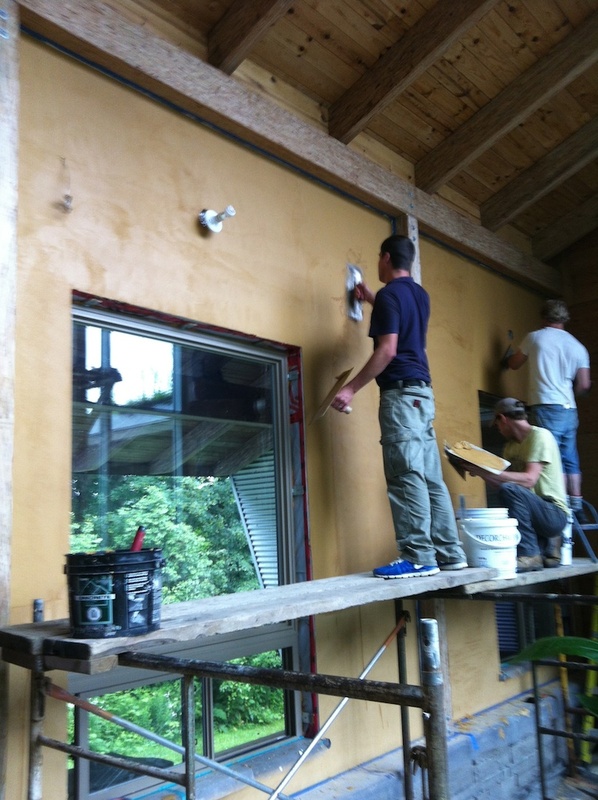 Above shows our very own James Sloan (centre) spreading the American Clay loma finish! To learn more about the application possibilities take a look at our American clay gallery or our American clay literature pages. You can also follow our facebook page, which has regular updates and any questions you may have. For the next workshop please dont hesitate to contact us.